The Zoom Recording featured above is a great business building resource recorded on August 16, 2018. This should be featured as a "Private and Informal" Product & Business Overview Presentation. This Site is Brought to You by Independent Partners of Victory Nutrition. 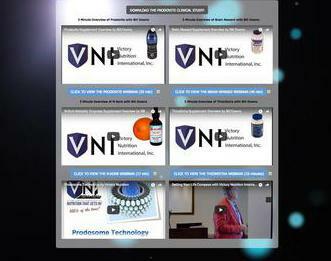 "Victory Nutrition is where Miracles are Commonplace Everyday"
VNI Supplements are Superior! Learn Why!